Ensemble Mirage is a large, flexibly constituted chamber group on the lines of outfits like the Nash Ensemble. 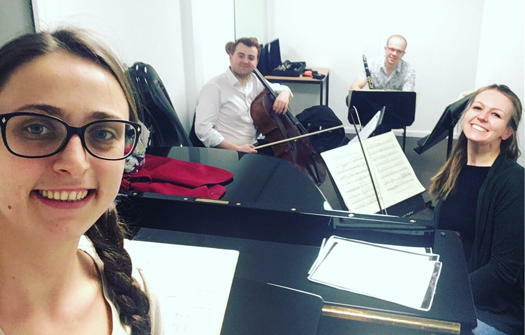 Four of its members - clarinettist Matthew Scott, pianist Alexandra Vaduva, violinist Alexandra Lomeiko and cellist Mike Newman - played two highly contrasted large-scale works for Derby Chamber Music - Multi-Faith Centre, Derby University, 29 March 2019. The first was Rimsky-Korsakov's Scheherazade, in a transcription in which many different musicians have had a hand. Did it work? Well, yes and no. 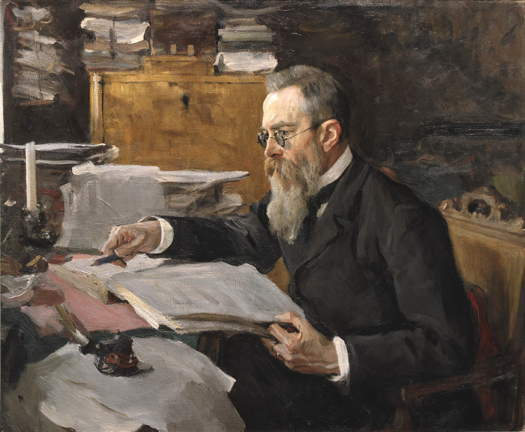 With Rimsky's command of orchestral colour being so integral to the music's fabric, an important dimension was inevitably lost. In particular, it missed the distinction between the violin solos representing the story-teller Scheherazade herself, and the violin part in the rest of the work. The main part of the first movement was a little subdued to begin with, but it became more animated as it went on. The players brought a dancing vitality to the second movement's quick passages, and were urgently forceful elsewhere. There was a nice sense of melancholy at the start of the third movement, ample sonority in the tutti sections, and a neatly dispatched ending. The whirling dance which takes up much of the finale was full of steadily building excitement, and the calm after the storm was sensitively handled. 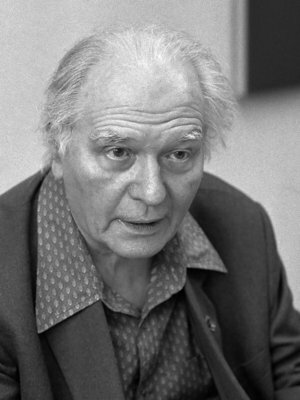 A degree of mythologising has grown up around Messiaen's Quatuor pour la Fin du Temps, and the circumstances in which it was created. But even if you choose to disregard all that, it is still a powerful experience, and Ensemble Mirage brought a deep understanding of its widely varied expressive worlds. The textural layers of 'Liturgie de Cristal' were both well integrated and clearly distinguished, and the contrasting passages of fierceness and serenity in 'Vocalise, pour l'Ange qui Annonce la Fin du Temps' were finely balanced. Matthew Scott's command of the extraordinary dynamic range Messiaen calls for in the unaccompanied 'Abîme des Oiseaux' took his clarinet from the very edge of audibility to joyful exuberance. The 'Intermède', for clarinet, violin and cello, had real energy and drive, while, in 'Louange à l'Éternité de Jésus', Mike Newman's calmly purposeful projection of the cello part was underpinned by Alexandra Vaduva's meticulously even weighting of the piano chords. The incisive unanimity all four players brought to the single unharmonised, rhythmically intricate melodic line of 'Danse de Fureur ...' was impressive, becoming a torrent of energy by the end, and their multi-coloured flamboyance in 'Fouilis d'Arcs-en-Ciel ...' was exactly right. It was left to Alexandra Lomeiko and Alexandra Vaduva to crown this whole extraordinary experience with an account of 'Louange à l'Immortalité de Jesus' marked by a mesmerising stillness. The long-held silence at the end was not just a pause to take it all in before the applause started; it actually felt part of the performance.